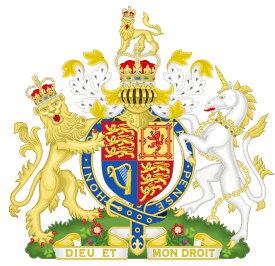 Her Majesty's Revenue and Customs (HM Revenue and Customs or HMRC) is a non-ministerial department of the UK Government responsible for the collection of taxes, the payment of some forms of state support, and the administration of other regulatory regimes including the national minimum wage. HMRC was formed by the merger of the Inland Revenue and Her Majesty's Customs and Excise which took effect on 18 April 2005. The department's logo is the St Edward's Crown enclosed within a circle. The department is responsible for the administration and collection of direct taxes including income tax and corporation tax, capital taxes such as capital gains tax and inheritance tax, indirect taxes (including value added tax), excise duties and stamp duty land tax, and environmental taxes such as Air Passenger Duty and the climate change levy. Other aspects of the department's responsibilities include National Insurance contributions, the distribution of child benefit and some other forms of state support including the Child Trust Fund, payments of Tax Credits, enforcement of the national minimum wage, administering anti-money laundering registrations for Money Service Businesses and collection and publication of the trade-in-goods statistics. Responsibility for the protection of the UK's borders passed to UK Visas and Immigration of the UK Border Agency within the Home Office on 1 April 2008 and then to UK Visas and Immigration in 2013. HMRC is a law enforcement agency which has a strong cadre of Criminal Investigators (c. 2000) responsible for investigating Serious Organised Fiscal Crime. This includes all of the previous HMCE criminal work (other than drug trafficking) such as Tobacco Alcohol and Oils smuggling. They have aligned their previous Customs and Excise powers to tackle previous Inland Revenue criminal offences. They are responsible for seizing (or preventing the loss of) billions of stolen pounds of HMG's revenue. Their skills and resources include the full range of intrusive and covert surveillance and they are a senior partner in the Organised Crime Partnership Board. HMRC inland detection officers have wide-ranging powers of arrest, entry, search and detention. The main power is to detain anyone who has committed, or whom the officer has reasonable grounds to suspect has committed, any offence under the Customs and Excise Acts. HMRC is also listed under parts of the British Government which contribute to intelligence collection, analysis and assessment. Their prosecution cases may be coordinated with the Police or the Crown Prosecution Service. HMRC deals with the top 2,000 large business via CRM (Customer Relationship Managers). The next 8,400 business are dealt with via Customer Co-ordinators who provide a single point of contact with HMRC. . The merger of the Inland Revenue and HM Customs & Excise was announced by then Chancellor of the Exchequer Gordon Brown in the Budget on 17 March 2004. The name for the new department and its first executive chairman, David Varney, were announced on 9 May 2004. Varney joined the nascent department in September 2004, and staff started moving from Somerset House and New Kings Beam House into HMRC's new headquarters building at 100 Parliament Street in Whitehall on 21 November 2004. 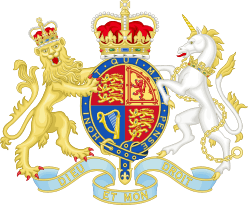 The planned new department was announced formally in the Queen's Speech of 2004 and a bill, the Commissioners for Revenue and Customs Bill, was introduced into the House of Commons on 24 September 2004, and received Royal Assent as the Commissioners for Revenue and Customs Act 2005 on 7 April 2005. The Act also creates a Revenue and Customs Prosecutions Office (RCPO) responsible for the prosecution of all Revenue and Customs cases. The old Inland Revenue and Customs & Excise departments had very different historical bases, internal cultures and legal powers. The merger was described by the Financial Times on 9 July 2004, as "mating the C&E terrier with the IR retriever". For an interim period officers of HMRC are empowered to use existing Inland Revenue powers in relation to matters within the remit of the old Inland Revenue (such as income tax, stamp duty and tax credits) and existing Customs powers in relation to matters within the remit of the old Customs & Excise (such as value added tax and excise duties). However, a major review of the powers required by HMRC was announced at the time of the 2004 Pre-Budget Report on 9 December 2004, covering the suitability of existing powers, new powers that might be required, and consolidating the existing compliance regimes for surcharges, interest, penalties and appeal, which may lead to a single, consolidated enforcement regime for all UK taxes, and a consultation document was published after the 2005 Budget on 24 March 2005. Legislation to introduce new information and inspection powers was included in Finance Act 2008 (Schedule 36). The new consolidated penalty regime was introduced via Finance Act 2007 (Schedule 24). As part of the Spending Review on 12 July 2004, Gordon Brown estimated that 12,500 jobs would be lost as result of the merger by March 2008, around 14% of the combined headcount of Customs (then around 23,000) and Inland Revenue (then around 68,000). In addition, 2,500 staff would be redeployed to "front-line" activities. Estimates suggested this may save around £300 million in staff costs, out of a total annual budget of £4 billion. The total number of job losses included policy functions within the former Inland Revenue and Customs which moved into the Treasury, so that the Treasury became responsible for "strategy and tax policy development" and HMRC took responsibility for "policy maintenance". In addition, certain investigatory functions moved to the new Serious Organised Crime Agency, as well as prosecutions moving to the new Revenue and Customs Prosecution Office. A further programme of job cuts and office closures was announced on 16 November 2006. Whilst some of the offices closed will be in bigger cities where other offices already exist, many will be in local, rural areas, where there is no other HMRC presence. The numbers of job reductions and office closures has not been officially announced, but the proposals imply that up to 200 offices will close and a further 12,500 jobs were to be lost from 2008 to 2011. In May 2009, staff morale in HMRC was the lowest of 11 government departments surveyed. In 2013, HMRC began to introduce an update to the PAYE system, which meant it would receive information on tax and employee earnings from employers each month, rather than at the end of a tax year. A trial of the new system began in April 2012, and all employers switched by October 2013. In 2012 Revenue Scotland was formed and on 1 April 2015 it took HMRC responsibility to collect Stamp Duty Land Tax in Scotland. On 12 November 2015 HMRC proposed to close 137 local offices and replace them with 13 regional centres by 2027. The Board is composed of members of the Executive Committee and non-executive directors. Its main role is to develop and approve HMRC’s overall strategy, approve final business plans and advise the Chief Executive on key appointments. It also performs an assurance role and advises on best practice. The Treasury Minister responsible for HMRC is the Financial Secretary to the Treasury, David Gauke MP. The Chief Executive is also the Permanent Secretary for HMRC and the Accounting Officer. Jon Thompson, formerly Permanent Secretary of the Ministry of Defence, succeeded Lin Homer as Chief Executive in April 2016. The Chairman of HMRC was an executive role until 2008. Mike Clasper served as a non-executive Chairman. From August 2012, the post was abolished with a 'lead non-executive director' chairing Board meetings instead. HMRC collected £515 billion for the Treasury in 2014/15. It estimated that total theoretical tax liabilities in that year were £551 billion, but £36 billion was not collected due to the "tax gap", made up of money lost to tax evasion, tax avoidance, error and unpaid tax debts. This equates to a collection rate of 93.5%. At the end of March 2009, HMRC was managing 20 million 'open' cases (where the Department’s systems identify discrepancies in taxpayer records or are unable to match a return to a record) which could affect around 4.5 million individuals who may have overpaid in total some £1.6 billion of tax and a further 1.5 million individuals who may have underpaid in total some £400 million of tax. In 2007–08 HMRC overpaid tax credits to the value of £1 billion; at the end of March 2009, HMRC had £4.4 billion of overpayments to be recovered. On 20 November 2007 the Chancellor of the Exchequer announced that two discs that held the personal details of all families in the United Kingdom claiming child benefit had gone missing. This is thought to affect approximately 25 million individuals and 7.5 million families in the UK. The missing discs include personal details such as name, date of birth, National Insurance number, and bank details. The then Chancellor, Alistair Darling stated that there was no indication that the details had fallen into criminal hands; however, he urged people to monitor their bank accounts. EDS ran the Inland Revenue's tax and National Insurance system from 1994 to 2004. In 2003, the launch of a new tax credit system led to over-payments of £2 billion to over two million people. EDS later paid £71.25 million in compensation for the disaster. In 2004, the contract was awarded to Capgemini. This contract, also with Fujitsu and BT, was one of the biggest ever IT outsourcing contracts, at a value of £2.6 billion. In February 2010, HMRC encountered problems following the implementation of their taxes modernisation program called Modernising Pay-as-you-Earn Processes for Customers (MPPC). The IT system was launched in June 2009 and its first real test came in a period known as annual coding. Annual coding issues certain codes to tax payers on a yearly basis. The annual coding process sent out incorrect tax coding notices to some taxpayers and their employers meaning that they would pay too much tax the following year. It was claimed that HMRC knew the errors were going to occur as early as June 2009. In August 2010, seven HMRC staff were sacked for deliberately underpaying benefits to ethnic-minority claimants. Dave Hartnett, permanent secretary for tax at HMRC, said the department operates a zero-tolerance policy on racial discrimination. The whistleblower Osita Mba revealed to The Guardian that HMRC entered a deal with Goldman Sachs which allowed Goldman Sachs to escape paying £10 million interest on unpaid tax. Following this HMRC used powers under the Regulation of Investigatory Powers Act (RIPA) "to examine the belongings, emails, internet search records and phone calls of their own solicitor, Osita Mba, and the phone records of his then wife" to find if he had spoken to the editor of The Guardian, David Leigh. MPs in the House of Commons public accounts committee praised Osita Mba and called for scrutiny into HMRC's use of RIPA powers in a report. The report said: "We are deeply disappointed by HMRC's handling of whistleblowers. We consider that HMRC's use of powers reserved for tackling serious criminals against Mr Osita Mba was indefensible. HMRC told us that it had changed how it deals with whistleblowers and that it now provides information to its audit and risk committee who can use this to challenge how HMRC handles whistleblowers." ↑ "Her Majesty's Revenue and Customs". Commissioners for Revenue and Customs Act 2005. legislation.gov.uk. Retrieved 5 August 2012. ↑ "HM Revenue and Customs: About Us". Hmrc.gov.uk. 18 April 2005. Retrieved 21 June 2009. ↑ BERR Summary: ONS - UK Company Statistics Reconciliation Project (PDF). Department for Business, Enterprise and Regulatory Reform. January 2009. Archived from the original (PDF) on 26 February 2012. ↑ "Introduction to the Money Laundering Regulations". HMRC. Retrieved 29 January 2012. ↑ "HM Revenue & Customs uktradeinfo – Home". Uktradeinfo.com. Retrieved 27 February 2012. ↑ "Section 138, Customs and Excise Management Act 1979 (c. 2)". Opsi.gov.uk. Retrieved 21 June 2009. 1 2 "Explanatory note on HMRC salaries and organisation charts" (PDF). .gov.uk. Retrieved 19 May 2014. 1 2 3 4 "HMRC organisation chart: March 2014" (PDF). .gov.uk. Retrieved 19 May 2014. ↑ "About the customer relationship management model". hmrc.gov.uk. Retrieved 9 April 2014. ↑ "HM Revenue & Customs:Transforming HMRC – The Regional Review Programme". Hmrc.gov.uk. Retrieved 21 June 2009. ↑ "HM Revenue & Customs announces consultation programme on the way forward". gnn.gov.uk. 16 November 2006. Archived from the original on 28 July 2007. ↑ Seager, Ashley (17 November 2006). "Union fury over tax office cuts | Business | The Guardian". London: Politics.guardian.co.uk. Retrieved 21 June 2009. ↑ Reed, Kevin (16 November 2006). "HMRC senior staff concerned over further job cuts". Accountancy Age. Retrieved 21 June 2009. ↑ "Morale among HMRC workers falls to new low". Accountancy Age. 9 July 2009. Retrieved 9 July 2009. ↑ "Tax system overhaul as real-time operation is tested". BBC News. 11 April 2012. Retrieved 31 March 2013. ↑ Power, Rachael (2015-01-02). "Revenue Scotland ready to replace HMRC for devolved taxes". Retrieved 2016-09-20. ↑ "HMRC reveals tax office shake-up". BBC News. 12 November 2015. Retrieved 12 November 2015. ↑ "List of proposed HMRC office closures". BBC News. 12 November 2015. Retrieved 13 November 2015. ↑ "David Gauke". HM Government. Retrieved 18 May 2015. ↑ "HMRC chief executive to quit post". BBC News. 11 January 2016. Retrieved 25 February 2016. ↑ "HMRC: Government names new bosses at tax authority". BBC News. 24 February 2016. Retrieved 25 February 2016. ↑ "HM Revenue & Customs:Non-Executive Board members". Hmrc.gov.uk. 28 June 2011. Retrieved 18 January 2013. 1 2 3 "Measuring tax gaps 2016 edition" (PDF). ↑ "HM Revenue and Customs 2008-09 Accounts: The Comptroller and Auditor General's Standard Report - National Audit Office (NAO)". National Audit Office. ↑ "HM Revenue and Customs 2008–09 Accounts: The Comptroller and Auditor General's Standard Report". Nao.org.uk. 20 July 2009. Retrieved 27 February 2012. 1 2 "Darling admits 25m records lost". BBC News. 20 November 2007. Retrieved 20 November 2007. ↑ "Inland Revenue dumps IT provider". BBC News. 11 December 2003. Retrieved 4 May 2010. ↑ "EDS pays for tax failure". theregister.co.uk. ↑ Rebecca Thomas. "Taxation | Solutions | Capgemini UK". Uk.capgemini.com. Retrieved 27 February 2012. ↑ "HMRC renews Aspire deal to save £110m". Computerweekly.com. 30 October 2009. Retrieved 27 February 2012. ↑ Tony Hazell. "Taxman hid truth about code chaos". London: Dailymail.co.uk. Retrieved 27 February 2012. ↑ "HMRC benefits as new PAYE system issues wrong tax codes". ↑ "BBC News – HMRC staff sacked over race abuse". 18 August 2010. Retrieved 18 August 2010. ↑ "Tax chief won't rule out using terror laws again on whistleblowers three years after HMRC sparked fury by targeting staff member who revealed Goldman Sachs deal". Daily Mail. London. 25 March 2014. ↑ Rajeev Syal. "HMRC's use of powers against whistleblower 'indefensible', say MPs". The Guardian. ↑ "Effectiveness of tax reliefs, improving tax collection: reports published". UK Parliament. Wikimedia Commons has media related to H.M. Revenue & Customs.